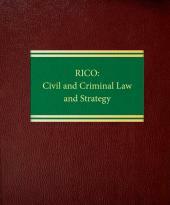 RICO: Civil and Criminal Law and Strategy is a practical guide to all aspects of RICO litigation. 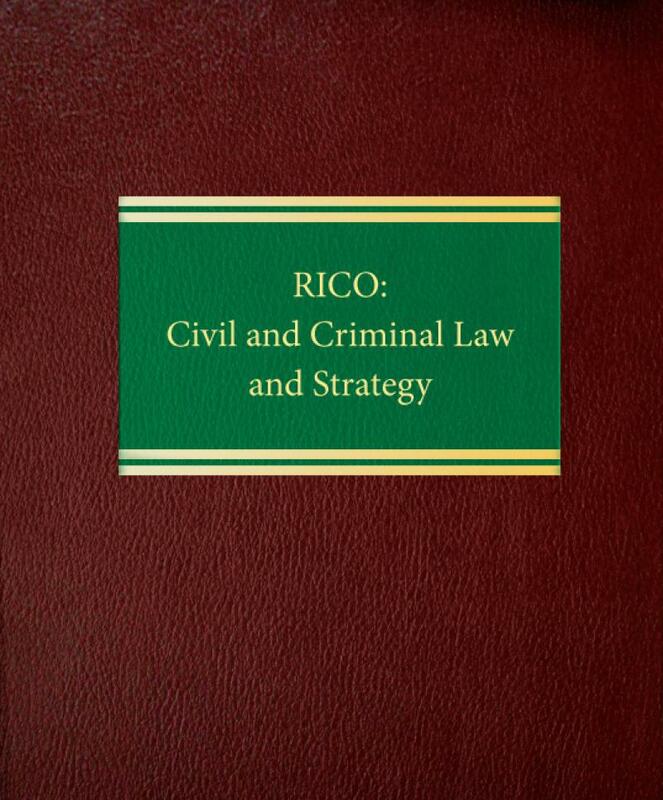 It provides a fundamental grounding in substantive RICO law and focuses on strategic and tactical considerations of RICO practice. Especially valuable discussions provide the latest techniques for representing both plaintiffs and defendants. 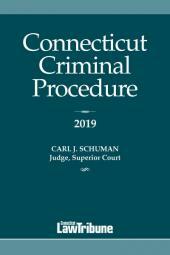 This definitive treatise deals with unresolved issues including: the four-year statute of limitations; due process; the evolving definitions of "pattern" and "enterprise"; determination of predicate acts, including mail, wire and securities fraud; potential applications of RICO in commercial fraud; causation, injury and scope of damages; pretrial seizure of assets and forfeiture of assets; criminal "mega-trials"; parallel proceedings and collateral consequences; and government civil RICO. The book also keeps you up to date on Supreme Court cases and the latest judicial interpretations of many important issues, including the survival of RICO actions after death.